Palestinians wait for a travel permit to leave Gaza through the Rafah border crossing with Egypt, Feb. 3, 2019. Israeli defense officials warned the government that the health system in the blockaded Gaza Strip was close to collapse, according to Israeli daily Haaretz yesterday, while saying that it can lead to direct international intervention in the next conflict. In an assessment to Israel's security cabinet, the officials warned that the deteriorating health conditions in the Palestinian territory would make it difficult for the Israeli army to fight in Gaza for a long time. The assessment warned that the Gaza situation would not only make it difficult for Israel to receive international support for any action in Gaza, but "could also lead to intense international intervention." It warned that injured civilians in Gaza would not be able to receive initial medical attention. According to Haaretz, Israel has received a report on Gaza health situation from an international medical agency, which shows that around 6,000 Gazans with bullet wounds are still awaiting urgent operations. "Most of the wounded are not receiving proper medical care and a quarter have developed bone infections that if untreated will lead to amputations," the report warned. 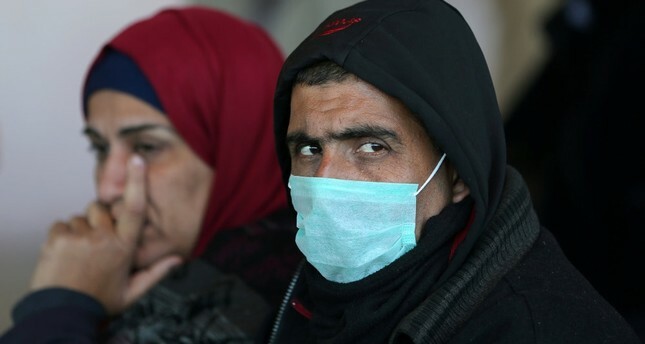 "Gaza is seriously short of doctors, particularly specialists, because any physician who could find work in another country has emigrated," the report said. The report said that Gaza hospitals were missing 60 percent of their required drugs, particularly generic drugs, antibiotics and painkillers. In addition, struggling to cope with high Palestinian casualties due to the Israeli cycle of violence, hospitals in the Gaza Strip face severe suffering by medical staff and patients in the face of cutbacks and funding crises, the U.N. warned last year. The humanitarian situation in the occupied Palestinian territories is deteriorating further as hospitals struggle to cope with many casualties after protests on the Gaza-Israel border began on March 30. Since the rallies began, more than 220 Palestinians have been killed, and thousands more were injured by Israeli troops deployed along the other side of the buffer zone. Israel was criticized by a U.N. human rights body for its killing of protesters in Gaza and treatment of Palestinians, declaring it a "war crime" under the Statute of Rome. Gaza's health system of 13 public hospitals and 14 clinics run by nongovernmental organizations has buckled under persistent blockade-linked shortages of medicines and surgical supplies. Due to the ongoing increase in the number of patients, the Al-Shifa hospital was obliged to postpone about 8,000 surgical operations for cancer, heart disease and other diseases. Israel controls all access to and from the Gaza Strip apart from the Palestinian enclave's crossing with Egypt. Hamas is in power in the strip and has fought three wars with Israel since 2008. Gaza lacks essential infrastructure and key medical equipment, and so, many patients seek to travel elsewhere for treatment. Since 2007, the Gaza Strip has been under a crippling Israeli and Egyptian blockade that has gutted its economy and deprived its roughly 2 million inhabitants of many vital commodities, including food, fuel and medicine. In the long-embargoed enclave, the humanitarian situation has grown steadily worse each day.